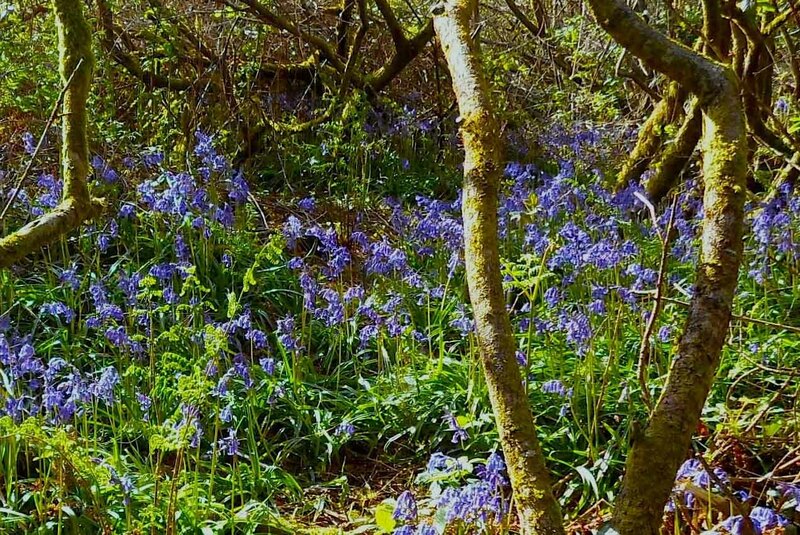 Located in Ballybane, near Ballydehob, 100 meters downhill or south of the Nature Art sign, follow the directions. 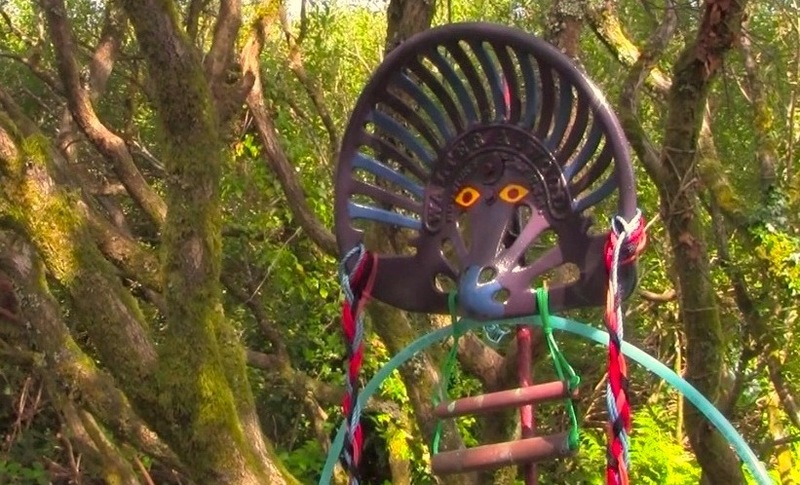 The Magic Forest is a beautiful nature reserve, mainly an old sally grove, with twisted pathways and special spaces with sculptures, works of art and also a sound space, the "Ballybane Gamelan" with recycled sound objects. It is a space to spend time in and get away from human civilization to relax and connect with your body, soul, and spirit and the natural surroundings. It is a philosophical reminder that the two-legged animal called human being can have a fulfilling experience without money. It's a healing experience to get out of our four concrete walls and the restrictions of human society and just to be and connect with our own true selves. 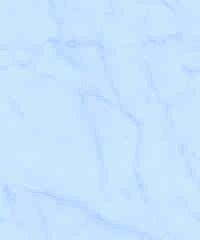 It is also meant to be an inspiration for other people to set up similar spaces. 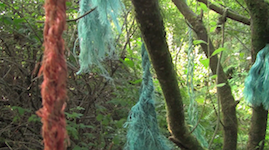 The Magic Forest is ultimately a healing space, a space to experience pure nature and to make contact to the ancestors who are still around as spirits and watch over us, and to honor the ancestors who need to be remembered as our life givers and guardians. In that way, we can realize that we are just a link in a chain that reaches from the past into the future. 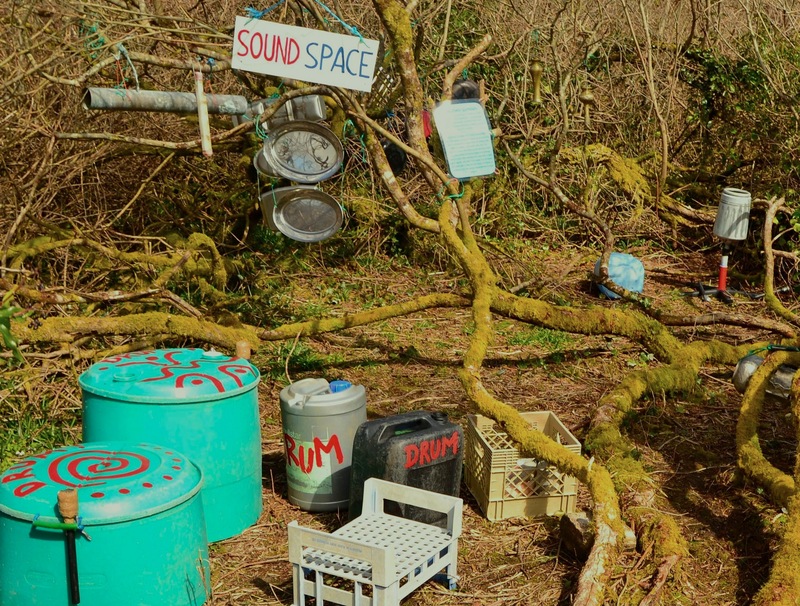 The sound space is a space of various melodic percussion instruments for the visitor to try out to produce different sounds. It is inspired by the Gamelan music from Bali, which is an orchestral rhythmic music with a spiritual and communal purpose played on metalophones. The sound space can be used by individuals and groups. In a group, people have to listen to each other to relate musically so that the music created sounds pleasant and in tune with each other. The individual musical contributions should improve the overall sound and sometimes it is good to stop playing and just listen. 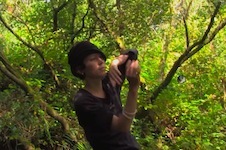 It is often best to just start from a simple pulse and let phrases and melodies unfold. Everybody is a musician, the only thing required is the good will to cooperate. There is space for every ability and people who never played any instruments before and accomplished musicians can play together, it takes all abilities to produce a rich texture of community music. This is a good exercise to cooperate and to drop the ego for the greater good. 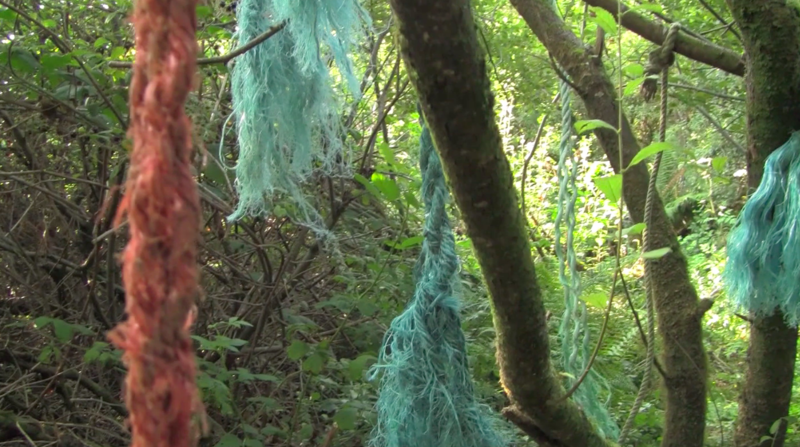 is a 60 minute artistic documentary by Thomas Wiegandt, Isa Bbesset and friends. 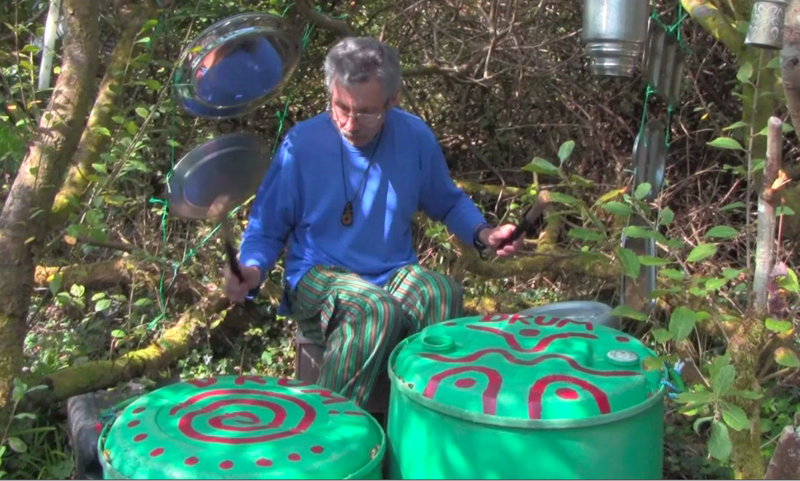 The film explores a natural healing music and art space in an old sally grove in Ballybane, near Ballydehob in West Cork. 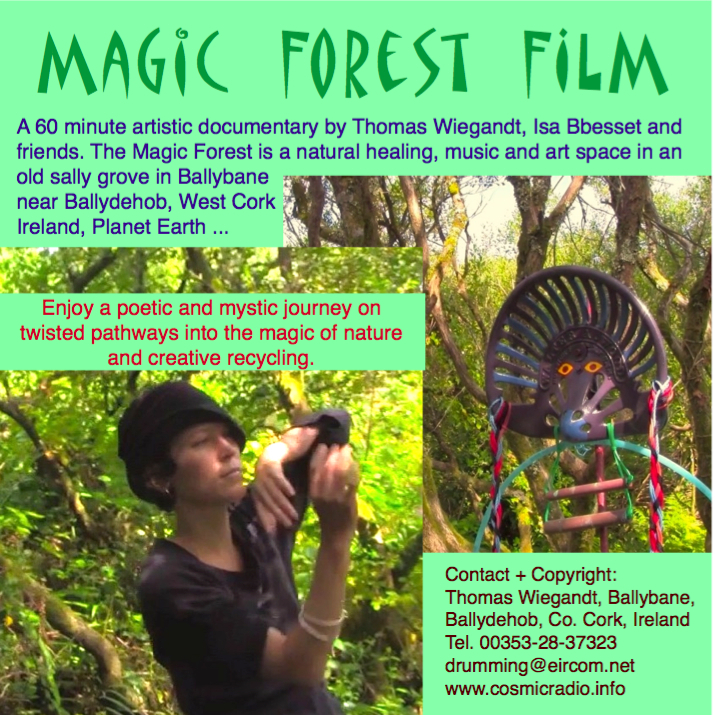 The Magic Forest is open to the community to be enjoyed. 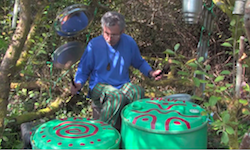 It's a poetic and mystic journey on twisted pathways that lead to many magic spaces with different atmospheres, including the "Ballybane Gamelan", a sound space of various melodic percussion instruments made from recycled materials for the visitors to play music on. 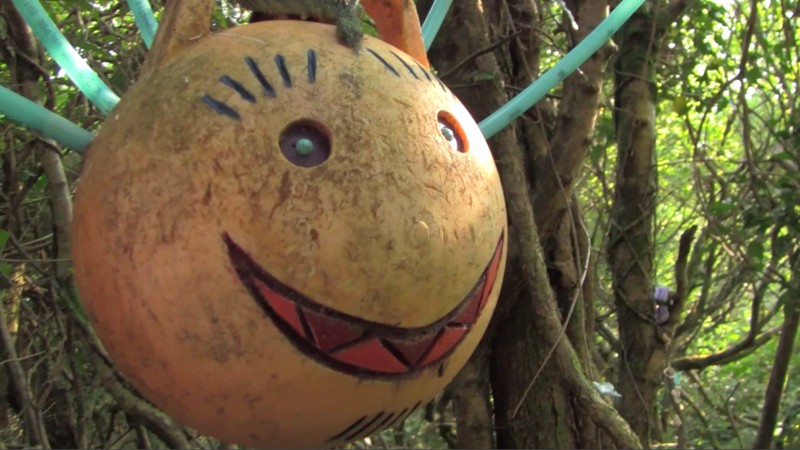 The Magic Forest is a celebration of nature and creativity. The film is available as DVD and can be screened on request.